President of the Kyrgyz Republic Roza Otunbayeva has announced that she will not run in the forthcoming presidential elections. This could mean the end of a career for one of the most experienced and popular Kyrgyz politicians. ­Roza Otunbayeva made the announcement in an interview with the Russian news agency ITAR-TASS on Wednesday. She said that the decision was in line with the agreements made during the referendum on June 27, 2010. “I have not planned to take part in the elections in the beginning as I have no right to it and I again officially confirm my intention,” Otunbayeva said. President Otunbayeva said that the new elections will take place before this November as her powers will expire in late December this year. She also promised that the election date will be announced in June or July. Also on Wednesday, President Otunbayeva spoke at the finishing ceremony of the anti-terrorist military exercises of the Commonwealth of Independent States. She said that terrorists were still seeking to undermine the Kyrgyz people’s security and well-being, as well as the socio-economic development of the state. She said that the military and law enforcers should undertake urgent measures in connection with the clear tendency to stage terrorist attacks in places of mass gathering of people. She also stressed the importance of the joint anti-crisis management system, which the Kyrgyz authorities are currently building. The president also promised to allocate additional funds to power structures, including the freshly created anti-terrorist departments in the Interior Ministry and in the State Security Committee. 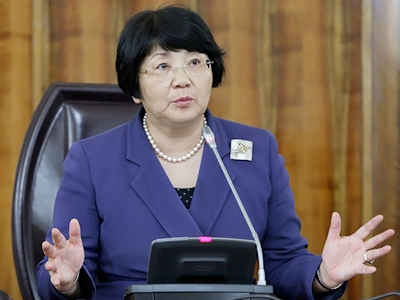 Roza Otunbayeva is one of the most experienced politicians in Kyrgyzstan. She started her career in the Communist Party of the Soviet Union in the 1980s and later switched to diplomacy, becoming foreign minister of the Kyrgyz Soviet Socialist Republic in 1986. As Kyrgyzstan became independent, Otunbayeva was appointed foreign minister, but in 1997 she parted ways with the authorities and resigned from her post, becoming the Kyrgyz Ambassador to the UK, an appointment which she called “political emigration.” However, during her work as an ambassador, Otunbayeva made many contacts with foreign leaders and gained enough political weight to become a leader of the opposition. She returned to Kyrgyzstan in 2004 and became the leader of the opposition bloc in the nation’s parliament. Soon she made an official address to Russian authorities with a request to stop supporting Kyrgyz President Askar Akayev, whom she accused of growing totalitarian tendencies in the country. In early 2005, Otunbayeva was refused registration as a parliamentary candidate. This led to mass rallies in the country’s capital Bishkek that soon evolved in the so-called “Tulip Revolution” – the ousting of Askar Akayev by angry protesters who called for fair elections. 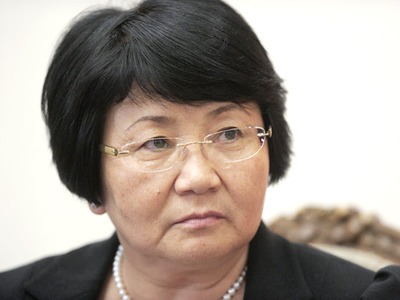 After the Tulip Revolution, Otunbayeva briefly worked as foreign minister again, but failed to reach a compromise with the new leader of the country, Kurmanbek Bakiyev, and in 2006 she was again head of the opposition faction in the parliament. The situation changed in March 2010 when mass rallies against a corrupt and authoritarian leader – this time Bakiyev – shook the country again. Otunbayeva was elected head of the executive committee of all the opposition forces seeking the ousting of the incumbent president. 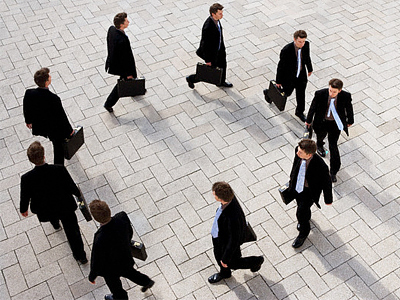 In April, Bakiyev fled the country and Otunbayeva was elected the head of the interim government. In May, the interim government appointed her president of the Kyrgyz Republic and in June the appointment was sealed by a nationwide referendum.